I remember vividly the last time I went to Warwick Castle. I was exactly 40 weeks and 5 days pregnant. I decided that climbing to the top of the steep spiral staircase was a good plan. It wasn't my finest idea but at that point I was doing everything I could to get baby G to arrive. Despite the almost fainting on the stairs we had a lovely time exploring the castle that day but haven't found time to go back since. 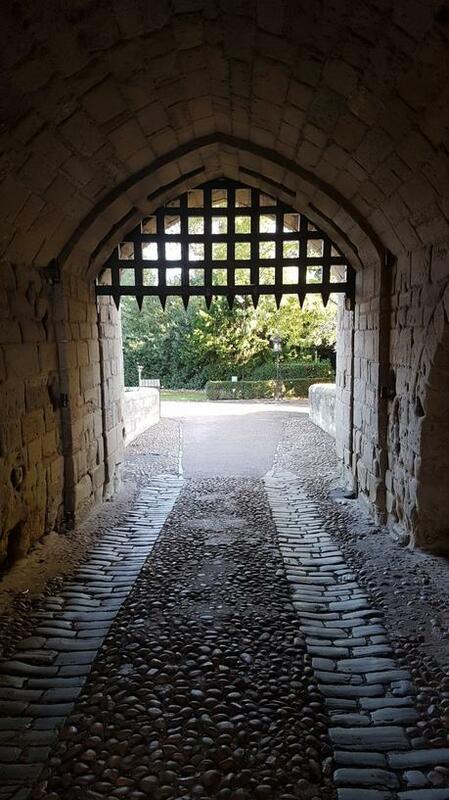 Fast forward just over 2 years, and an invitation to go and experience Warwick's Haunted Castle for Halloween popped into my inbox, the time seemed right for return visit along with the pesky toddler who caused said problems all that time before. I was really surprised at the amount of activities there was to do. 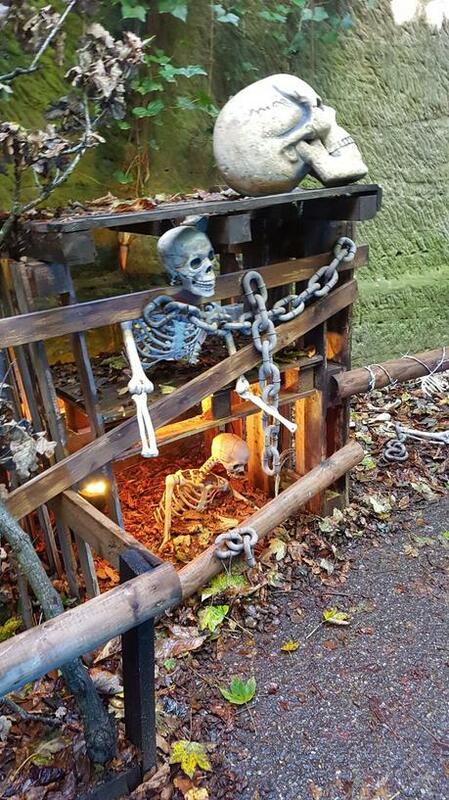 Warwick Castle really do go all out for Halloween. 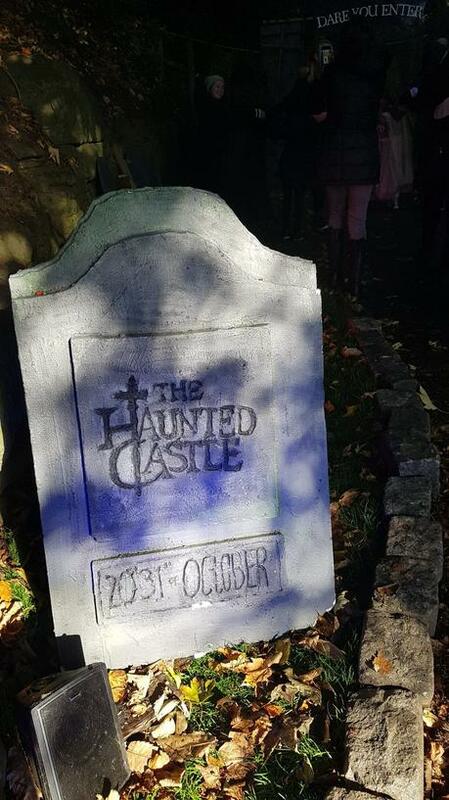 The events ranged from the only slightly spooky to the totally terrifying, so there really is something for everyone. 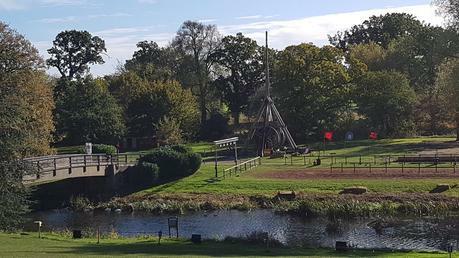 At the lower end of the spectrum there are the family friendly attractions, like the Horrible Histories Maze and the Mighty Trebuchet, where you can witness the WORLD's biggest siege machine launch a projectile over 150m in the air. There was also the ever entertaining Birds of Prey Displays, and the ones at Warwick are amongst the best I've ever seen. Imogen was absolutely thrilled with the eagles soaring around above her head. 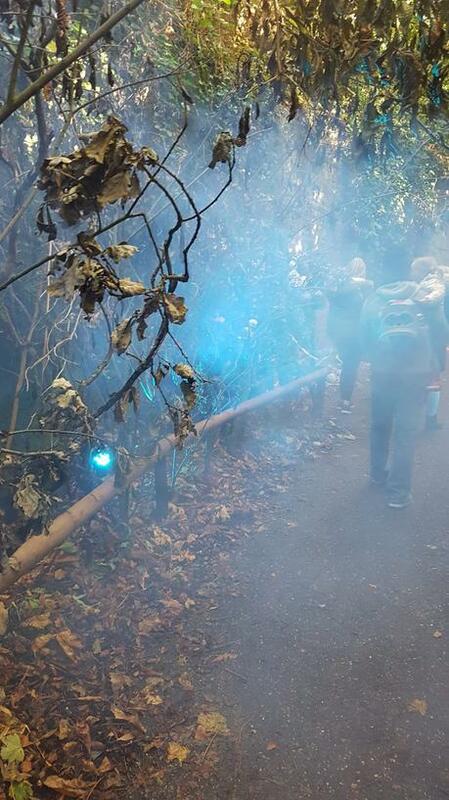 We also took Imogen for a stroll through the Haunted Hollows - a Halloween trail and journey through the enchanted forest where there were creepy characters at every turn! With the lighting and special effects this was a really fun walk. 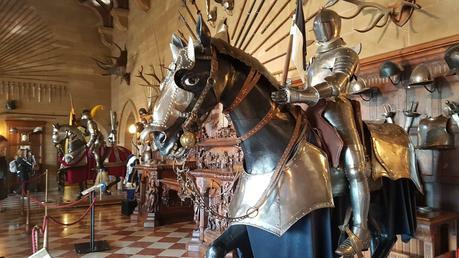 Some of the activities were definitely more suitable for adults and older children though, and helpfully Warwick Castle has put some age restrictions on them to help. There's a 30 minute Escape Room, a House of Wax, a Seance and Outbreak 1369, which all sound fantastic! 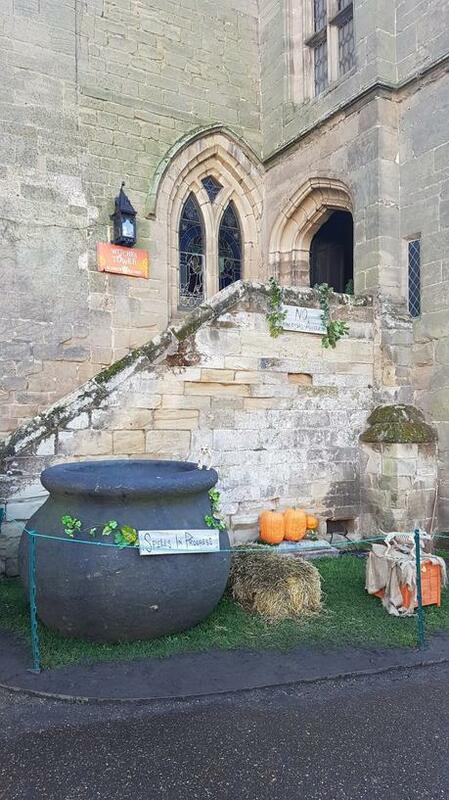 We didn't get chance to catch the show in the Witches Tower, but we did catch some of the action on the Dead Centre Stage, right in the middle of the courtyard which was really entertaining and included a wizard school! You can of course go on tours through the Great Hall as usual, as well as take a stroll through the peacock garden, and if you fancy paying that bit extra there's always a visit to the Castle Dungeons. 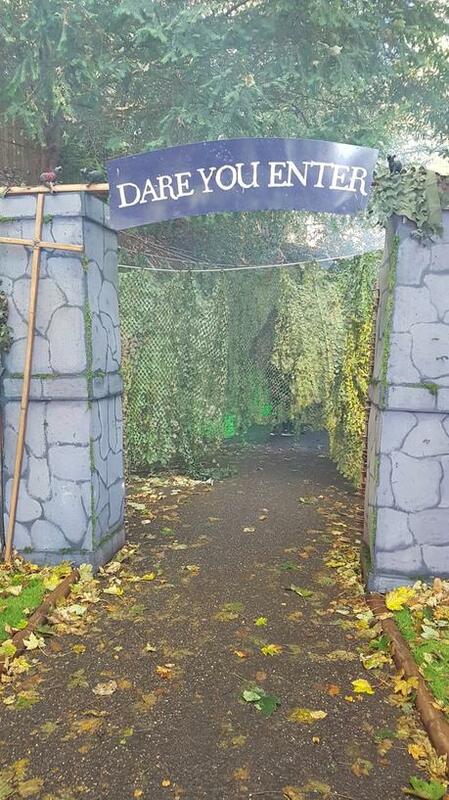 We had a thoroughly thrilling day out at Warwick Castle - if you want to check it out The Haunted Castle Spectacular is on until the 4th November and tickets are available right now! Disclosure: I was gifted tickets to the Castle free of charge in return for an honest write up on the blog.